So pretty! 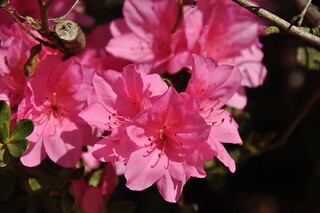 I love azaleas. I know; I am so exited for it this year! Gorgeous! Perhaps spring is coming after all. Thanks. We are going to have another cold spell this week, but nothing too bad. How lovely. 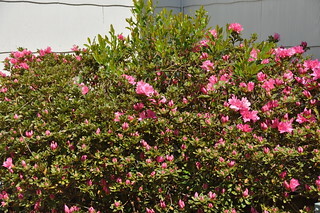 Even if the azaleas were willing to bloom this soon this spring (hah! ), the deer will have eaten every last twig. Thanks. It has definitely been a crazy winter for you guys. How awesome, to have azaleas living outside... *gapes* We can have them only in pots, and it's difficult to keep them alive even so. These are very beautiful shots and plants! Oh, they are all over the place down here, in many different colors. I guess I have lived in the south for so long now; I had forgotten certain climates did not have them. Thanks! We have two large white ones in front of our other house (long story,) but it is in a more mountainous area, so have not bloomed yet.